Broadcast video or screen of your android device for presentations and training sessions, doesn't require user to install plug-in or client software. It doesn't require root permission either. UnionCam IOS is a ip camera software which can support 16 cameras at the same time. 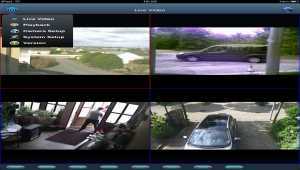 It can keep an eye on your home from anywhere, turning iPhone into a video surveillance system. This webcam software can broadcast live camera video on internet. Air Cam lets you view live video feed from your computer's webcam (such as iSight webcam or Mac) directly on your iPhone/iPod Touch/iPad using your home Wi-Fi networks and 3G networks. Twitter Profile Image Updater for all Windows-based devices. Say it with Images! TweetMyImage allows you to post your images to Twitter. Use pre-selected images or redirect your camera output as an image source. Uploads are automatic. Fully Automated camera snapshot sharing tool for all Windows devices. BuddyShare enabled. Hook up any number of devices with cameras and share their output from anywhere in the World. Megodoo - it's easy, fast and fun way to share your photos and videos with your friends once in all the social profiles. 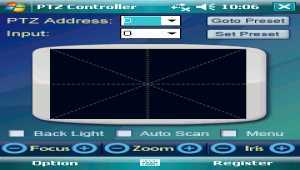 It is an application for Pocket PC to control PTZ camera. It runs on PPC2003SE, WM5.0 and WM6.0. It can control PTZ camera through Pocket PC Compact Flash slot and control RS232/485/USB port with a converter. It supports mutiple protocols. Use construction-set principle video surveillance software for yours exact needs. Connect 100+ cameras and multiple servers, control remotely from any OS. Everybody who tried loves Xeoma: it is light and flexible. 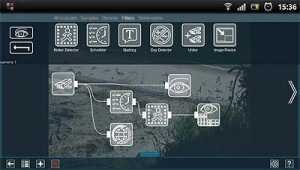 Try this unique software now! Free!